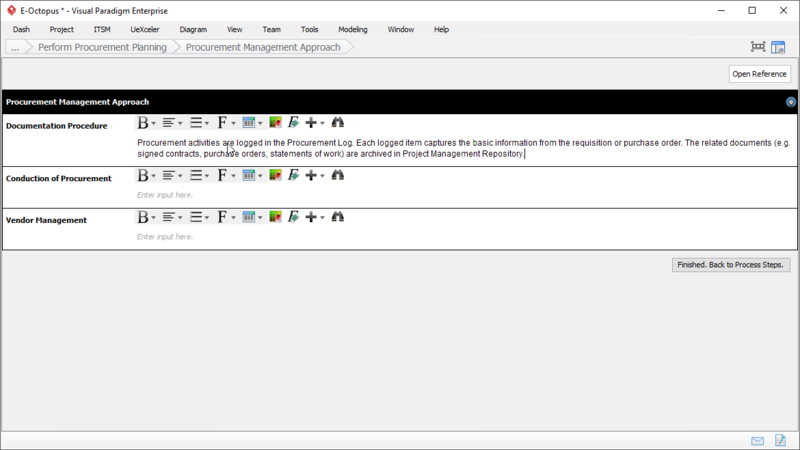 Procurement Plan is one of the project management deliverable you can create with our project management lifecycle tool. Procurement planning involves identifying how project needs can best be fulfilled by procuring products and services outside. It involves describing how the various aspects of procurement will be managed from the beginning to the end of the project. 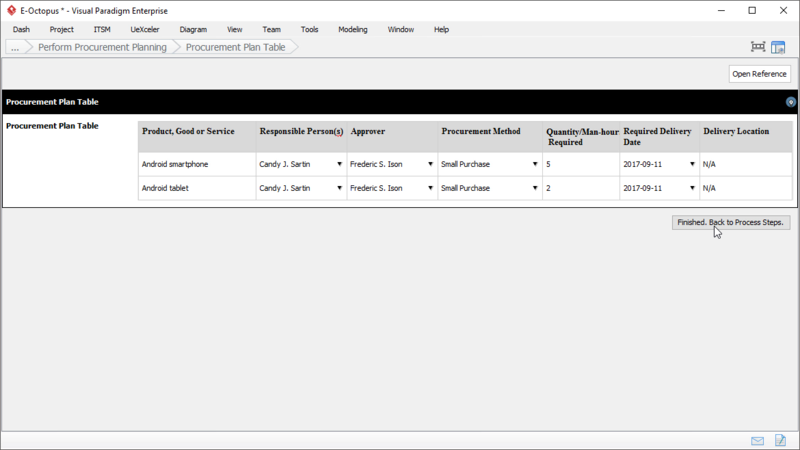 This article shows you how to develop a Procurement Plan. Documentation Procedure: How project procurement decision will be documented. Conduction of Procurement: The necessary steps and responsibilities for procurement during the course of the project. 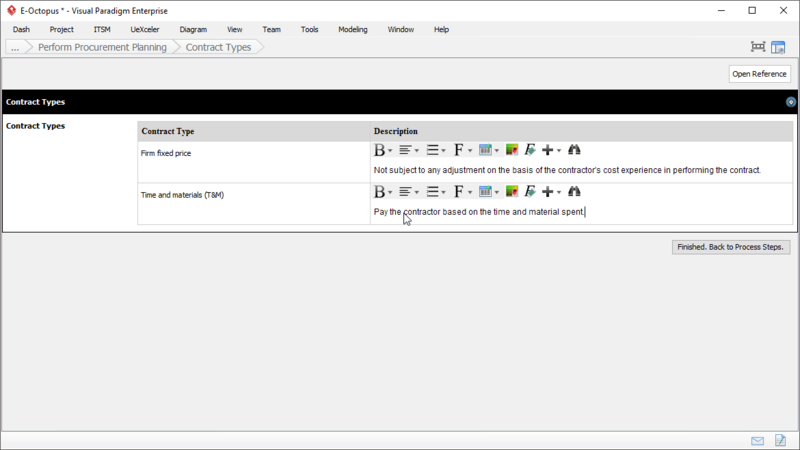 Vendor Management: The roles and actions the project team and purchasing and contracts department will take to ensure that the selected vendors provide all of the products/services agreed upon and that the appropriate levels of quality are maintained. Describe the types of contract and the terms and conditions to be used for the project. This enables the project team to choose the one that creates the most fair and workable deal for the team and the contractor. 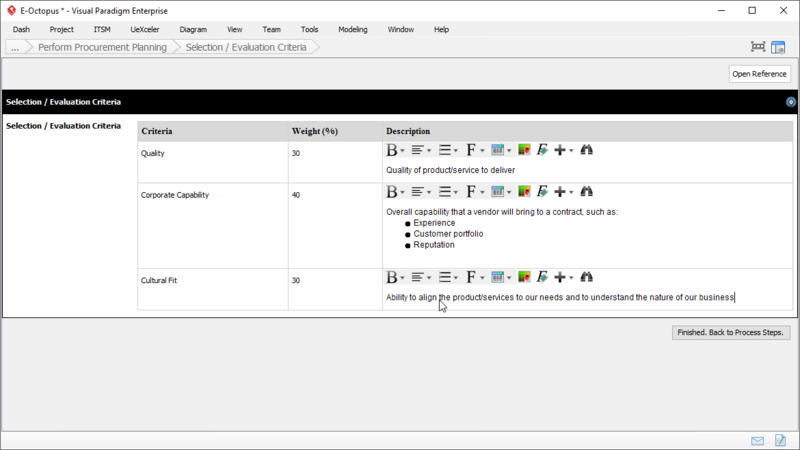 List the evaluation criteria of vendors to ensure that the vendors are chosen based on pre-set criteria and that a single person or group does not influence the decision. Describe the constraints to be considered as part of the procurement process (e.g., the decision maker will go on retreat the week that you need a contract signed). Document all products, goods, or services that must be procured during the course of the project. State the responsible person for the procurement and indicate the procurement method selected for each item.